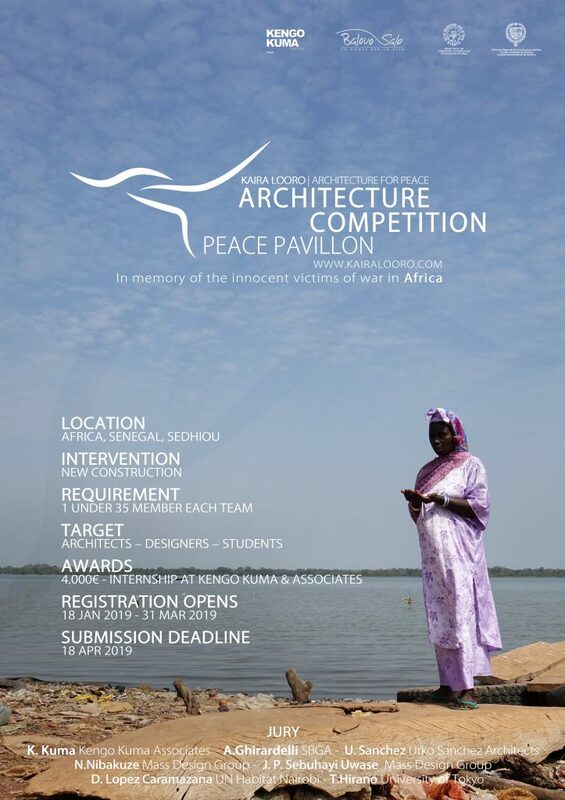 The theme of this contest is a Peace Pavillon in Senegal (Africa), in memory of the victims of wars in Africa. The initiative has two objectives: the development of research in architecture on issues of social emergencies and sustainable architecture, and contributing to a humanitarian emergency in Senegal that the Non Profit organization Balouo Salo wants to solve, so all entries will be entirely devolved to charity to the humanitarian projects to improve living conditions. The competition is open to architects, designers and students from around the world; so the competition notice is translated in 8 languages. The “Peace Pavilion” project in the city of Sedhiou aims to be a reference point for raising awareness among local and international communities, a space in which to promote and foster peace, a structure that is contemplative and multifunctional, capable of providing the region with an identity through the values of memory and solidarity.